Jen: There has been a large divide between entertainment games and educational games however over the next 10 years there will be more and more games that are both entertaining and deeply educational. One problem has been that many educational games have focused on digitizing textbook style learning rather than taking full advantage of the medium of video games. There are developers that are starting to figure this out and as more and more people realize the power of the medium, to allow for deep exploration in a subject matter with continuous feedback, I think we are really going to see a shift. Q: What challenges have you faced as an entrepreneur? Jen: Being an entrepreneur is constantly challenging. As soon as I learn to be an expert in something, it is time to start figuring out how to be an expert at something else. While it’s a challenge, it certainly keeps things interesting. It is also incredibly difficult to create something out of nothing and break through all the noise, particularly in my industry. At the end of the day though, I have never done anything so rewarding. Jen: Tech and gaming are heavily male dominated industries and while there are barriers that are very real, often the person that holds us back the most is ourselves. Have confidence. Trust in yourself and continuously remind yourself that you know more than you think. You don’t need anyone else to approve your bold thoughts. You don’t need anyone to agree with you. That woman you want to be? You are ready to be her now. There is no need to wait and take action. Jen: Leadership is inspiring others to act in support of your vision. Leading means having a confident, strong voice but also the humility to know that you do not have all of the answers. You want to lead in way that encourages others to push you and your cause to be the best. Jen: At a couple of points in my career I have had long lengths of time in which I neglected my physical health because I have been so focused on work. I now hit the gym 4-5 days a week with a long hike on Sundays. My energy levels have skyrocketed and I am far more productive with less hours. It can be hard to prioritize self-care but the key is establishing routines. Also, it is essential to have people in your life that hold you accountable instead of hold you back. Jen: I lived in Yosemite National Park for five years. I started out my career as an environmental educator and then went on to become the Director of Operations for our programs serving 14,000 participants each year. As an educator it was my job to hike groups of students around Yosemite National Park while teaching them about ecology and geology. It was a pretty spectacular classroom and a wonderful place to call home. One of my most prominent memories is waking up to the thud of a black bear sitting on our roof. The bear would often climb up to reach an apple tree in our backyard. Jamie: Don’t focus on the mistakes you make, but instead focus on how you can learn from the mistakes and move forward. I am grateful that the mistakes I made early on in my career as an associate were recognized by partners as common mistakes and turned into teaching moments. Once, I made a decision about how to utilize my team’s time on a particular project, but neglected to tell a partner I was working closely with. I inadvertently blindsided her when I mentioned it on the phone during a call with the client. Fortunately, she wasn’t mad and let me know afterwards that I should have given her a heads up before the call. Q: What is the challenge that you are most proud of overcoming? Jamie: As a second year attorney at a large Bay Area law firm, I suddenly found myself managing an incredibly high-stakes patent litigation team as the associate leading e-Discovery (which is an early phase of litigation where each side requests and exchanges documents in an effort to prove their case or defense). I drew on my leadership and project management strengths to rapidly learn the technical aspects and manage a large team of contract attorneys, paralegals, and e-Discovery specialists, as well as more senior attorneys at my firm. This experience gave me confidence to say “yes” to new challenges. Q: Why did you choose to be a lawyer? Jamie: Early on I had an interest in both law and science. I was on my high school’s mock trial team, and I continued on as a freshman in college while majoring in molecular biology. Most of the biology students at UCSD were some variety of pre-health professional, but that never quite appealed to me. I really liked strategizing over how our mock trial teams could put on our mock cases and advocate for a client. Mock trial helped me practice public speaking and thinking on the fly when the judge asks you a question or opposing counsel makes an objection. Even though it was a mock exercise, the skills are the same that I use in my current role as a patent litigator. When I was sophomore in college, I was lucky to make a connection to the sister-in-law of the General Counsel of a Bay Area biotech company through an event for my brother’s high school class. They needed a summer intern to help run patent searches. Because of that connection, I interned there for two summers during college and learned about intellectual property. I enjoyed the idea of combining law with science, and then went to law school with the intention of practicing in some area of intellectual property. My journey to becoming a patent litigator is a great example of how important networking and connections are to find opportunities. Q: How do you approach someone who you may want as a mentor? Jamie: I like to go to lunch or coffee with someone who I have a particular set of questions for, or who I think would have great advice on certain issues that I’m dealing with. For example, my questions often involve strategies for conveying my personal brand across my law firm’s different offices and practice groups or learning about their career experiences and advice for me. I also like to take advantage of formal mentoring programs at work as a way to find a mentor that knows the firm/company and can help you navigate internally. Having a mentor within your organization can be very valuable, as they can give you advice on the various political and cultural issues you may not otherwise be aware of. One of my formal mentors is the one that gave me the advice, “Don’t focus on the mistakes you make, but instead focus on how you can learn from the mistakes and move forward,” and she’s helped me navigate the moving forward part. Jamie: I embrace technology and try to figure out how new apps or devices can improve my efficiency and keep me organized. My calendar (I use iCal) is one of my most used tools to maintain balance on a daily basis. I consolidate events into one calendar, color-code them, and schedule time to check things off my to-do list. Usually I find that certain tasks, both work and personal, don’t take as much time as I’ve allotted which helps me manage my time better in the future; and if something takes longer than I thought then that’s useful to know too. I also find that having a clear view of important work deadlines and personal events in a given week helps me to prioritize how I spend my time. My calendar is also a great tool to communicate with my husband so that we can stay on the same page with what’s going on in both of our schedules. I might forget that he’s emailed or messaged me about an event because I don’t often search through my messages after the fact (and vice versa). But if I check my calendar several times a day, I usually don’t miss anything on it. Jamie: Don’t be too hard on yourself when one person says something disparaging or discouraging to you. It’s just one person’s opinion and it’s good to take it with a grain of salt. I recently got some tough feedback about my presentation style on a conference call and how one person perceived me as lacking confidence, and thus competence in the area I was speaking about. I beat myself up about it for a few weeks and tried to analyze my communication style every time I was on the phone, at a mixer, etc. to figure out how I could improve my communication skills. Shortly after that, I went to dinner with some women I volunteer with through the organization, Women in Bio. I’ve been volunteering for WIB for the last four years and am now the San Francisco chapter’s Sponsorship Committee Chair, where I lead the chapter’s efforts to raise enough money to support the organization’s events and programs. I had met about half of the women in person, but had only spoken to the rest by phone. When I met one woman in person for the first time, she said, “Wow! I had imagined you as being much a taller and imposing woman based on your voice!” (I’m only 5’2” on a good day). That reaction really opened my eyes to how individual people’s perceptions might be drastically different and how important it is to have feedback from multiple sources. Jamie: Exercise, be it my favorite gym or yoga class, or briskly walking hills in Noe Valley. I’m a huge believer in pets as a stress reliever and enjoy the company of my cat while unwinding with a glass of wine. Yoga is a wonderful physical challenge for me, and teaches me new things about myself – both physically and mentally – each time. I have scoliosis, and when I was a teenager I had a major operation to straighten out my curved spine. The operation essentially immobilized all of my thoracic vertebrae, so I can’t bend or twist from there. This makes a lot of yoga poses particularly difficult, or impossible for me to do (backbends are pretty much out of the question!). When I was just learning yoga, I used to push myself and struggle with not being able to twist or backbend, or side-bend. Gradually I learned that I needed to stop focusing on my weaknesses and start focusing on and cultivating my strengths – in my case, strength and flexibility in my legs and arms. I also learned to be grateful for the level of twisting and bending from my core that I am able to do. These lessons aren’t just limited to the yoga mat; they’re applicable to my personal and professional life as well. Sometimes we are too focused on improving areas of weakness that we lose sight of our skills and strengths. Instead, I try be more balanced and focus on improving the skills and strengths that I already have. Jamie: I love to travel. My favorite trip to date was to Tibet and Nepal with my dad right after I took the bar exam. Most law students do a post-bar trip with their fellow graduates, but I had chosen to do a four year program (JD/MBA) which meant that the majority of the friends I’d made in law school graduated a year before me. My dad suggested a trek to the base camp of Mt. Everest – a lifelong dream I never knew about. Of course I said yes! We spent 6 weeks traveling together across the Friendship Highway in Tibet and trekking up to Mt. Everest base camp. It was wonderful to spend so much time with my dad exploring the world. A few years after the base camp trip, we trekked to Machu Picchu together. Industry: Science and Technology with a focus on international relations, STEM, and diversity. Q: From your perspective in Military Programs, what important trends have you seen in the last 5 years, and what do you foresee in the next 5 – 10 years? Leedjia: Infusion of smart and social technology. Big data, social media, and smart devices are being embraced by a wide spectrum of participants and for a wide variety of reasons. They will get more refined as computers and phones have done, to the point that it will be hard to imagine our life without them, personally and professionally. Additionally, diversity and inclusion are crucial to a successful workplace. The demographics of the workplace are changing and it is important to be inclusive so that all may benefit! Q: If you can share advice that you know now about navigating your career, what would that be? “The mountain is always steepest just before you reach the top”. I never understood how people could quit at the last stage before an accomplishment until I was there myself – it feels like an infinite amount of time and challenge before you reach the summit, but having a good support network to believe in you when you have forgotten how (both personally and professionally, such as The Club!) will keep you from quitting. “A spectacular failure sets the stage for a spectacular comeback.” I gave a talk to several hundred students and it did Not go well. I had awful reviews and I really didn’t want to face them again but I had just seen a movie where they were playing a game and the coach said, “go out there like the score is zero zero” and I thought, what if I never messed up? What if I approached them like they were a new crowd? So I went back out for a second talk and it went Great! They all applauded. “Ask! And offer!” It is amazing what you can obtain when you ask or offer your skills. Opportunities, internships, talks, nominations etc. I was given the advice to start speaking once, which I didn’t know I could even do, but I started asking people if I could give lectures (for free) and that led to a speaking engagement at West Point (paid) and the publishing of a text book chapter. I also asked/offered to research the effectiveness of training programs and that led to politicians and leaders using my work to influence social policy. “Being in the right doesn’t give you the right.” Someone may have been utterly wrong in behavior however, that does not give me the right to treat him or her that way in return. I have found it helpful to learn new skills in dealing with difficult people when my current skills do not allow me to be my best. Q: If you had it to do all over again is there one thing you would have changed? Leedjia: For me- organizational skills, communication, speaking, technology fluency, and confidence in areas I’m less sure in. As a STEM advocate and mentor, I encourage others to utilize free resources and focus on these skills as early as possible. I learned in my international relations studies about the collective power of women, we have brought countries up from the ashes and so much more, I wish I had learned that earlier to know my own individual power. Leedjia: Mentors and mentorship can take many forms- people of all backgrounds and professions have the capacity to be a positive influence. This influence may take the form of a single interaction to a lifelong connection, and it may be the spark to an achievement you never imagined. Leedjia: Leadership is a vision that you inspire others to achieve; those who are led feel fulfilled achieving their goals and your goals at the same time. My favorite leaders did not have to yell, get angry, or be manipulative. They were caring, firm, passionate, and willing to give opportunities to all; they pushed the limits, positively. Leedjia: I blend my personal and professional interests – for example, STEM. I have started STEM programs at work and enjoy blogging at home (please check out stylishSTEM.blogspot.com and StylishSTEM on FB), meeting Bill Nye the Science guy, Nobel prize winners, receiving a White House invitation, things I never expected but fully appreciate personally and professionally! Leedjia: I lived on a sailboat and in a campground as a result of my parent’s professions. I think this gave me a sense of adventure and desire for change that the military affords. IoT (Internet of Things) – Many more connected devices creating an overwhelming amount of data driving amazing efficiencies in business and in our personal lives. Computing will be ubiquitous as more applications / platforms / devices leverage the “cloud”. The growth of the wearable device industry will expand dramatically as a multitude of sensors / materials become miniaturized and embedded into many objects we wear. And in turn, creating more data! Katherine: I have had the opportunity to be a part of two very different industries at the beginning of industry tends, working with Aveda at the beginning of the natural personal care industry and more recently with the mobile computing industry. In retrospect, I see that it is important to pay attention to information and opinions of those knowledgeable within the industry to help one foresee the trends and then find your place within that journey (if it is indeed something that you find interesting). Identify and align with smart people to work with and be open to suggestions and recommendations that will be helpful to your career. Many times, the best advice comes from unexpected places! And then, once you have a strong sense of your interests, abilities and commitment, do not let naysayers deter you. If I had taken the advice of those that were not vested in the success of others I would have found myself left behind. Katherine: Be fearless. Don’t be afraid to seek advice, take chances, and look for opportunities. Hope is not a strategy and having a plan is key to guiding you on a path. For example, when I moved to the Bay Area without a job and a notion that I wanted to change my career path I worked with a career-counseling agency to ascertain transferable skills and possible new industries. Through this assessment process, I was able to solidify a plan to transition into a new industry. And lastly, develop your intuition, or as I like to call it, your sixth sense. There will be times when your sixth sense will help you make the best decision by blending the facts and the nuances of a situation. Katherine: A consciously developed management style is critical, much like a conductor is to an orchestra. When you leverage your strengths as a manager (listening, identifying strengths in others, building a diverse team, etc. ), you will better understand what you can bring to your team and how to enable individual team members and the team as a whole to find a rhythm. If your strengths are not apparent to you, take the time to leverage the myriad of tools available (for example, The Gallop Strengths Finder or The DiSC Assessment). Engage with someone that can help you identify and leverage your strengths into your authentic management style. There are many “management styles” that are effective; just know what aspects are the best for you and will leverage your strengths. A few aspects I find imperative are clearly communicating the strategy (of the company, product, program, etc.) so that the team members understand their contribution. Strive to eliminate unconscious biases (gender, age, ethnicity, etc.). And be the resource that removes obstacles for your team so they can succeed. Katherine: I have had the benefit of several very positive mentors over the years. In these relationships I had a great deal of respect for these mentors and felt that they were invested in my success. Due to this mutual trust, I understood that they could see aspects of my capabilities that I was unable to see in myself. This perspective allowed me to find strength and confidence to follow through on my goals. When others see your strengths and can offer positive direction, this provides a sense of empowerment that one cannot always find in ones self. 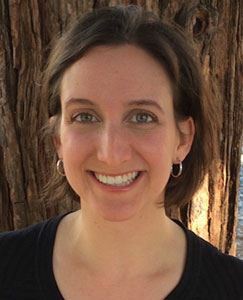 Katherine: I love living in the Bay Area and enjoy exploring the treasures all around us from museums, to wineries, to urban hikes around San Francisco discovering new vantage points and aspects of the city. As much as I love meeting new people and being out and about, I find that I recharge my batteries by retreating and making quiet time for myself. It’s soothing to me to test out a new recipe or read the many magazines I subscribe to. I also make time for exercise to clear my mind and move my body! Q: In what areas can you give advice to other CLUB members? Changing Careers: how to assess transferable skills / strengths. Having made this transition myself, I am confident that transitioning careers is possible with appropriate planning and patience! Ability to help others take a broad problem / topic and drill down on specific, actionable aspects. As a seasoned sales person, I am able to listen for and identify disparate components of a problem, break them down, and build a strategy to meet a desired goal. Michelle: I changed jobs at one point in my career in an attempt to shift to an industry that would allow me to move out of a particular high technology segment. Essentially, I switched from a product revenue producing role to an infrastructure role; it was a difficult environment where my values were not in alignment with the leadership of the organization. For three years I struggled to adjust to the environment, but found my nerves and self-value were shot as a result of the lack of alignment between my own values and that of the organization. I moved on, and into a role that has been extremely successful in an organization that meets my needs. I learned from that experience and took those lessons into my life in a positive way – I can even spot it in others and help them see that it may be time to move on. Michelle: I changed positions about every 3-4 years. This allowed me to work with a wide variety of individuals over an extended period on time. This has been particularly useful at my current company because I am well known across many departments. This has been a huge advantage. 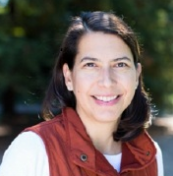 I have volunteered for projects that span multiple groups, joined several women’s organizations and became involved in their programs, and pursued personal interests like cycling and soccer – all of which have further connected me across tech in Silicon Valley. Michelle: Mentorship has always been informal in my career. I was fortunate to have various individuals take an interest in mentoring me. About six years ago, I joined a Leader Forum group of 7 women and we have remained intact. We meet monthly. This has been a great source of receiving perspective and insight from a variety of strong women in leadership roles. This experience was the inspiration for starting the Mentoring Circles within The CLUB. Michelle: Get clear about your goals. Think about what you want to accomplish and look for someone who has those skills or experiences you want to learn from. Don’t box yourself into one topic. You will find that if you select well, there will be much you can learn in the process. 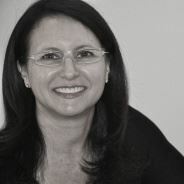 Michelle: Vision, emotional intelligence, passion, drive for results and agility. The CEO of my company is an incredible visionary, guides the company toward the vision and is full of passion. Another great leader at my company has incredible business and technical acumen, coupled with emotional intelligence and driving for results. Both are wildly successful, but their skills are very different. Michelle: I have always maintained a goal of balance in my life. After having my first child, I decided to make choices in my career that would support raising a family, yet provide career growth and challenges. I turned down a few opportunities and changed positions several times to ensure this goal was met. I also adopted a philosophy of protecting my weekend for personal time. Michelle: I’ve become very active in bicycling over the past two years. It started with joining Team in Training when I signed up to ride 100 miles around Lake Tahoe and pledged to raise over $9,000 for cancer research. My last big fundraising event was bicycling 214 miles from Seattle, WA to Vancouver, BC over two days. 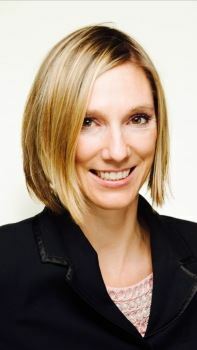 Michelle Garrison was selected for the 2015 CLUB Incubator program based on her extensive professional experience, unique philosophy on leadership and life. We’re delighted to learn from Michelle’s experience. Erin: One of the hallmarks of success in my roles is frequent feedback. I believe that being a good people manager is giving and receiving frequent feedback among your team so that you are all on the same page with priorities, responsibilities, opportunities for improvement and celebrating wins. It’s super important to have frequent, real-time dialogue with your team and your boss, so that you know what’s working well, and what to refine. Erin: My one piece of advice is to own your career. You need to take ownership of the direction you want your career path to go. Do not be afraid to ask for more responsibility, ask for a promotion, take on new roles, change companies, relocate, etc. It’s up to you to be your own advocate and be proactive about what you want. Erin: Hands down, I’m most proud being a woman engineer. As a mechanical engineer, and working in Automotive and Tech industries, I’ve always been one of very few women in the workplace. Establishing credibility among both my technical and non-technical colleagues, both as an engineer and leader, has been key to my success. I’m immensely proud of serving as a positive role model to the more junior women in my organization of what a woman engineer and leader looks like. Q: What’s the best career advice you’ve ever gotten? Explain what and why it was so good. Erin: When I joined Tesla, my boss and mentor told me “welcome to the revolution!”. His advice was that no matter how large or small of an organization you work in, you should not be afraid to change things for the better. If the team structure, processes, or ways of working aren’t optimal– then don’t be afraid to change them. This piece of advice really empowered me to take ownership of the organization and create a future-state that I wanted to be a part of. Erin: Some mentor / mentee relationships are natural, and some only come about if you approach the person. When I was a young professional early in my career at Honeywell, and we had a new female executive in the organization, I approached her right away to ask her to be my mentor. 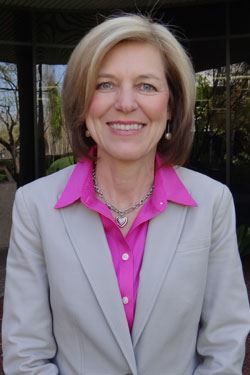 As one of the few women in Honeywell’s automotive division, she served as a more senior mentor with a similar engineering background that provided me with great advice. I’m so glad that I wasn’t shy about asking for her to be my mentor and scheduling monthly lunches! Erin: First, you have to prioritize what’s important to you, and second, you have to set boundaries to make time for your top priorities. For me, the time with my husband is a priority. We decided to set aside Tuesday nights to cook dinner together – so no matter what is going on at work or with friends, we always protect that one night per week in our calendars. My other top prioritize is my health. I’m a firm believer that eating healthy, regular exercise, and getting enough sleep will enable me to be happier and more effective in my career, so I make time to work out at least 5 times per week. Once you identify your top priorities, you can set boundaries – leaving the office, setting aside your cell phone, etc. – to make time for the things that are most important to you. Erin: This year I became a board member of the non-profit Kids’ Vision, which is an organization that works to inspire young girls to enter into STEM fields. We created an amazing after-school program, where girls 3rd thru 6th grade visit tech companies in Silicon Valley, meet female role models working in those organizations, and do hands-on experiments to learn about how mathematics and science are applied in companies in Silicon Valley. I believe providing positive role models of women in STEM is critical for increasing our future pipeline of women engineers and leaders. Erin was selected for the 2015 CLUB Incubator program based on her achievements in the automotive industry and her passion for giving back to young women in STEM. 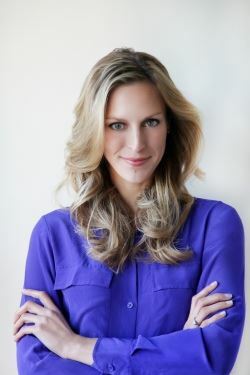 Erin has been recognized as one of Fortune’s Most Powerful Women Next Generation. 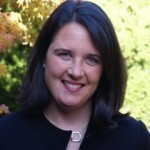 You can learn more about Erin’s professional interests and volunteer highlights at www.erinsawyer.com. What initially attracted you to The CLUB? What keeps you engaged? How do you see The CLUB evolving? The CLUB is gaining momentum. There are so many opportunities for our members to grow – learning from the strong content of events, taking opportunity to network, participating in the mentoring programs – and to give back through providing their own leadership on CLUB initiatives. I hope people take full advantage of it. I also see the CLUB taking a leadership position of its own – in connecting other women’s organizations, in helping redefine an inclusive workforce, in growing the pipeline of women ready for more powerful positions whether in corporations or on Boards. I hope we become the ‘go-to’ for recruiting and networking. I have a few mentors as well as an executive sponsor. It took me a long time to understand how to make use of a mentor – the trick for me was asking my mentors open ended, somewhat unstructured questions. My executive sponsor changed the game for me when he provided unequivocal support. What has surprised you about your industry? This is less about my industry and more about corporate America more generally: I’m surprised by how challenging it is to drive real change. I think we all find this to be true even of ourselves in various ways – humans are slow to make changes even when we know the change is truly beneficial. (Think of dieting, saving money, exercising, quitting smoking, etc.) I spend a lot of time with academics on behavioral finance, reading the literature around habits and figuring out how to methodically influence change. This has implications for my work in helping Americans save for retirement – but also for the CLUB as we try to incent and inspire significant improvements in the number of women leading key businesses and initiatives. If you can share one piece of advice that you know now about navigating your career, what would that be? Women need to build an external network and become more publicly known. Many of us keep our head down and do the very best we can at our jobs and don’t find the time to network externally, or publish, or -god forbid!- speak publicly. But we need to showcase and grow our expertise. A strong external network gives us support, opportunities and a reality check (on our skills, leadership, achievements). I’m a sailboat racer – it’s a big part of why I moved to the Bay Area. I met my husband Steve when we were racing against each other in a national regatta; we raced ocean or Bay nearly every weekend for 10 years and accumulated two boats along the way. Although I don’t get much opportunity to race anymore (we have two busy girls, 7 & 8 years old) there’s hope: my 8 year old just went through Stanford University’s kids sailing program and loved it! From your perspective, what are the most important trends that will take place in your industry in the next 10 years? Public Relations and communications has gone through a dramatic transformation in the last 4 years – while the fundamentals of what matters – what’s the message, who’s the audience, and how do you connect the two has stayed constant – how we do our work has completely changed and will keep changing. In the next 10 years I think we’ll see more dramatic changes in how people communicate and we’ll need to be right behind the edge of how things are working to be effective. At the same time I don’t think the fundamentals of communication will change – be real, be honest, be helpful. If your job grates against your soul, then you’re in the wrong job. Find work and an employer (or become an employer) where your worst day at the good job is a regular day in the soul-grating day. You are in charge of your career and your happiness. What advice would you give those beginning their own business? How do you approach someone who you may want as a mentor? Mentorship is so important – when my mother graduated from the first Simmons all woman MBA class, her advice to me was find a male mentor who is in the position you want and copy him to get where you want to go. That worked really well for her – she retired after creating the career she wanted, at the top of her game. I think today, gender is not as important in looking for a mentor. I recommend people identify someone who’s “just out of their league” or at least 2 rungs up the ladder. Consider what you want from a mentor — what do you hope to get out of a mentorship with this person? what is the timeframe you want? what is the subject matter? how would you like to engage (on email, on the phone, on Skype, in person)? and how often? What do you have to offer the potential mentor? Get specific so that when you approach the person, they will know exactly what you want and will be able to respond productively and more likely, in the positive. Then stick to your plan. And at the end of every meeting, check in to make sure it’s working for them. You can only lead those who want to be led. Leadership means that other people trust you to get them to their goals. I think the most important thing for leaders is to focus on engendering positive feeling among those who follow. That means we need to understand who’s following us, what makes them tick, and what will motivate them in the context of the company’s goals. It’s humbling and invigorating at the same time. I strongly dislike olives, which my assistant noticed and took to heart. One day when we ordered pizza for the office I heard him say to the Office Manager “make sure there’s pizza without olives for Lee” – and since I overheard him, everyone else overheard him too, and now it’s “thing” in the office. Don’t try to change who you are. Instead, emphasize and capitalize on your strengths. Determine how to use those strengths in the face of any given career challenge. Why did you choose to be a lawyer? I chose to be a lawyer after participating in speech and debate in high school. I enjoyed the process of learning and mastering a subject and then presenting it (and then repeating the process again and again with new topics). Plus, I love to win. Find and fill a need – for example, mastering a substantive specialty and becoming the “go to” authority on the subject. Or, positioning yourself to fill an upcoming void (e.g., where leaders in one area will be retiring soon) so you are the natural “next wave” for that role. These strategic moves can make you indispensible and also offer the opportunity for rapid career advancement. If you had it to do all over again is there one thing you would have changed? The explosion of the Internet of Things. The dearth of women working in the industry, especially in technical and sales roles, and at the executive and board levels. I was very fortunate to find a great mentor in my third year at a firm. This person was a male partner in my group, and we worked very closely together for seven years (until we each took different career paths). He gave me a lot of responsibility on matters; much of the time I was in “sink or swim” situations, which are motivating for me. He also helped me navigate the large firm politics and was my champion at the firm. Now that I have almost 20 years of experience of my own, I’m enjoying serving as a mentor, both to other lawyers (mostly through The CLUB’s mentoring opportunities) and to other non-lawyers in my organization. Serving as a mentor has increased my own confidence and awareness, as I’ve had to reflect on my own career and experiences and realize that I have a significant depth and breadth of experience. What are the hallmark traits of a great leader that you have observed in your career? An ability to get others engaged and focused on achievement and providing their best effort; genuine appreciation for contributions; passion, drive and vision; integrity. Launch your career in a supportive environment; it’s hard enough to juggle multiple priorities without trying to do so in an unsupportive environment. Get good help on the home front and show your appreciation for that person/system (whether that is a spouse/partner who takes on a majority of household responsibilities or a dedicated nanny or daycare provider or something else). Outsource tasks that aren’t the highest/best use of your time – e.g., via Google Shopping Express, TaskRabbit, and other resources. What are ways that you have balanced career, personal, and other interests? I have declared certain priority items as “sacred” and schedule around those items, even when difficult to do so. Also, I have viewed the areas of career, personal and other interests as fluid, spending more time/effort in one area at certain times, but have reassessed regularly so that any “imbalance” doesn’t become the norm. My first job was selling patio furniture. I have been a Stanford Football season ticket holder for 22 years (Go Card!). Exercise! I have a weekly workout schedule that covers strength, flexibility and cardio. These workouts are sacred to me – there are very few things that I will let disrupt this schedule. On the weekends, I enjoy walking The Dish and bike riding on the Stanford campus with my wife and three kids. As an intellectual property (IP) litigator, I work at the intersection of law and technology, and believe that we will continue to see efforts to refine and further shape IP law at all levels of government, which will impact both the legal profession and the tech industry. Let’s take patent litigation reform, for example, where many branches and layers of government are “tuned in” to the concerns about how to do things better when it comes to dis-incentivizing frivolous lawsuits − from the Supreme Court’s recent rulings on the standard for awarding attorneys’ fees in meritless cases, to the White House’s patent reform recommendations, multiple (albeit stalled) bills in Congress, the FTC’s review of patent demand letters, and investigations pursued at the state level. Similarly, in the arena of copyright law, stakeholders are looking for the “next great Copyright Act” that will adapt the current body of copyright law to the new mediums of expression that exist because of technological advances. And it’s not just within the government, as we’re also seeing heightened interest in intellectual property issues in the news and among the general public, making these issues ever more critical to the business side, not only the legal side. I’ve come to appreciate more and more just how much litigation is about telling a story. Sure, you have to meet the legal requirements and find the evidence, but the compelling case is the one that connects all those pieces together into a narrative that resonates with a judge or jury. There is a (mis)impression that IP litigation is “cut and dry,” but even in cases with intensely complex technology, there is always an interesting story, and I like finding it. What’s the best career advice you’ve ever gotten? Explain what and why it was so good. Early in my career a mentor told me to always keep in mind that “people don’t want to hear about problems, they want to hear about your solution to the problem.” Excellent advice. This point is especially true for lawyers, who want to avoid the label of being someone who just tells everyone “no,” and doesn’t try to find a viable alternative. Being someone who can not only spot an issue, but figure out how to fix it, is a great way to distinguish yourself early in your career (and throughout your life). Keeping an eye on solving an issue also builds judgment and decision-making ability. Problems and thorny issues are opportunities to show your ability to work through them. It has played a big, and meaningful, role. I’ve been fortunate to have great mentors at every phase of my career who have helped me think “big picture,” opened up opportunities for me, and gave me great practical advice. Earlier in my career, a partner at my firm let me run with depositions, and she invested the time to teach me how to do them well. That experience set me up to lead a piece of the case, which in turn led to great trial experience. I also came to the CLUB through mentorship. CLUB founder Annie Rogaski mentored me in Leading Women in Technology’s WILPOWER program (which I can’t recommend highly enough). She is an oracle of first-rate, practical advice. For example, a rut that women can get stuck in is being known just as someone who can get the task at hand done well − a “worker bee,” so to speak. Of course you want to be known for doing a good job, but you don’t want your reputation to stop there. You also want people to regard you as someone who can drive a strategy, and think about the overall issues. Annie encouraged me to focus on building that kind of reputation, and taught me that to be strategic, you need to set aside time in the press of getting things done to actually stop and think about strategy − literally, put the time on the calendar! I found that getting myself in that mindset at a dedicated time really trained me to be in that mindset the rest of the week, as well. We have an excellent group of women in the CLUB who are happy to mentor others, which I think says a lot about the women who make up this organization. Check out the website for information on how to find a mentor.